Walker’s started its roots in Fort Ann, NY as a feed and farm supply store. Today, the same store has developed into a one stop shop that constantly surprises customers with the various departments and unique, quality products from top name brands. Our Carhartt department is the largest in the area and includes a full range of Carhartt apparel and accessories for men, women, and kids. If you have trouble finding your size at other stores, search no more. Walker’s carries Carhartt clothing in big and tall sizes and will special order for our customer’s convenience. If you are looking for new boots, check out our selection of quality english, western and work boots ranging from fashion to function in sizes for the whole family. Walker’s only carries dependable brands you trust to last like Ariat, Justin, Double H, Tony Lama, Chippewa, Carolina, LaCrosse, Muck and more. If you are a horse owner, you will love our selection of Nutrena and Progressive feeds designed to give your horse proper nutrition for optimum health. Plus, be sure to wander through our extensive western and english tack departments, carrying all your equine essentials and more. Walker’s Carhartt, boot, feed, and tack departments are just the tip of the iceberg for this store! 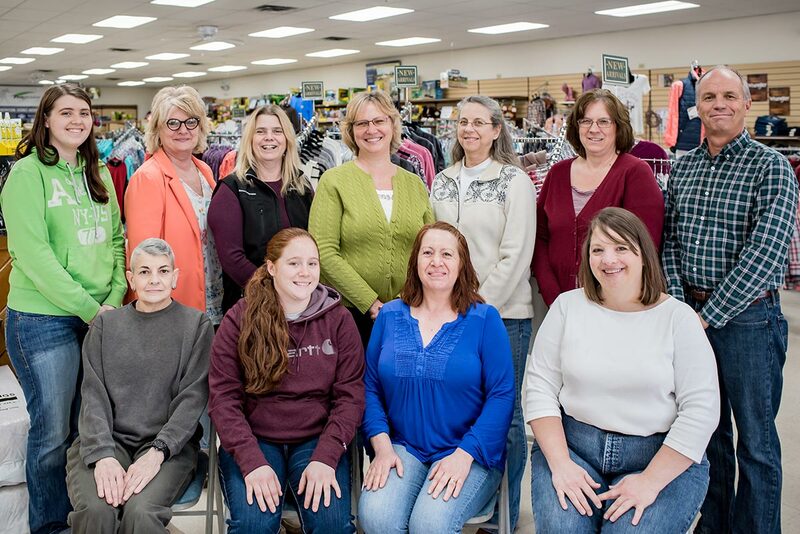 With women’s clothing, kids clothing, western apparel, toys and collectibles, pet food and supplies, gifts, and home decor all under one roof, a trip to Walker’s is never wasted! Our goal at Walker’s is to give every customer a great shopping experience. The sales staff at Walker’s is always willing to help hand pick gifts, or outfits for customers who prefer a personal shopping experience. So stop in to Walker’s Farm, Home & Tack on Route 4 in Fort Ann, NY and see what you have been missing! Home, Farm and Tack Store Website Design & Development by Mannix Marketing, Inc.